I recently started pursuing my master’s degree in architecture through an online program. One of the requirements is an occasional video chat. To get properly prepared and equipped for this endeavor, I also upgraded my home computer to one with a much larger screen (27″ iMac). The idea was that I could push the display further back on my desk so that I could lay drawings in front of the screen to work on. This worked very well until I started a video chat and realized that being pushed so far back on my desk was also giving way too wide a view of my office. After some searching I found a tool to fix that. I’ll tell you more after the break. Wow best T3i deal yet! 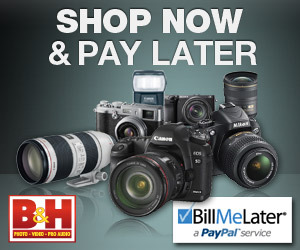 Canon is selling refurbished T3i bodies for $335.99! That is the best price I have seen for this camera, refurb or not. Even though the current generation of this camera is the T4i, I still think the T3i is the best bang for the buck DSLR, and I think it is the best DSLR camera for beginners. Here’s the link: Canon Direct Store- EOS Rebel T3i Body Refurbished. Angry Birds : Star Wars!